The theme also allows you to set a reserve price for your products. You will be able to accept PayPal, Amazon, Skrill, bank, and other payments. 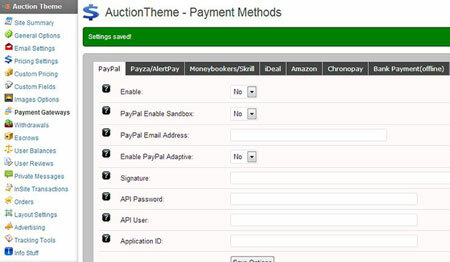 The Auction Theme also allows charging a percentage for each sale completed. Buyers and sellers will be able to rate each other. Auctions can be set to expire after a certain number of days. The Auction Theme supports private messaging. It has its own credit and escrow system. This is a paid template from Sitemile.